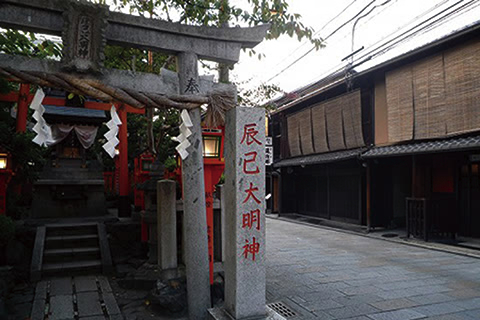 A tourist spot right behind the Gion Shinmonso, many shows and commercials have been filmed here. It is familiarized by the name of 'Gion san,' the Gion festival is a celebration for this shrine. The Sakura gates do not close, so you can also visit in the night time. If you walk deeper into Yasakajinja, you will see a big park with an area of 90000㎡. The weeping cherry during the summer time is incredibly beautiful. The oldest theater in Japan from the Edo Period in the1600s. Not only is kabuki performed here, but there are concerts, plays and a wide variety of genre that perform here as well. Japan's biggest wooden building is used as the weeping cherry.There are many national treasured buildings inside. A very popular night stop for foreigners, a place to enjoy traditional performing arts with Maiko's dancing. Depending on the season the hours may change, so it is better to check beforehand. Important cultural assets such as Tawarayasoutatu's 'Fuujinraijinzubyoubu' and being able to sit down by the grass to watch Karesansuiteien is famous. 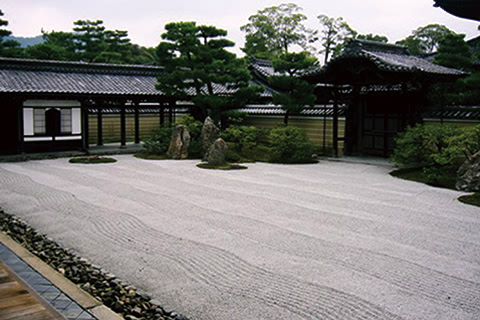 It is known for where Toyotomi Hideyoshi's wife, Nene's died. 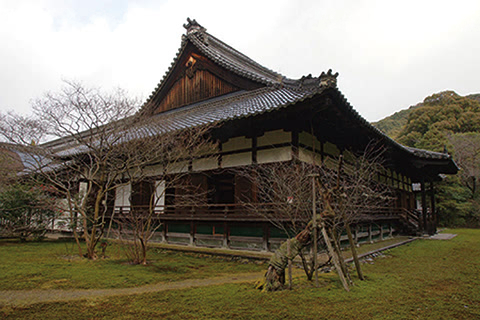 The fusuma painting of the main temple is assigned as an important cultural property. One of the Tendaisousanmonsekijiinn（a high leveled temples）. This temple is famous to having 'Aofudou' one of the three great Acalas of Japan. One of Japan's top three Ebisu, lining up with Nishinomiya Ebisu and Osaka Imamiya Shrine. 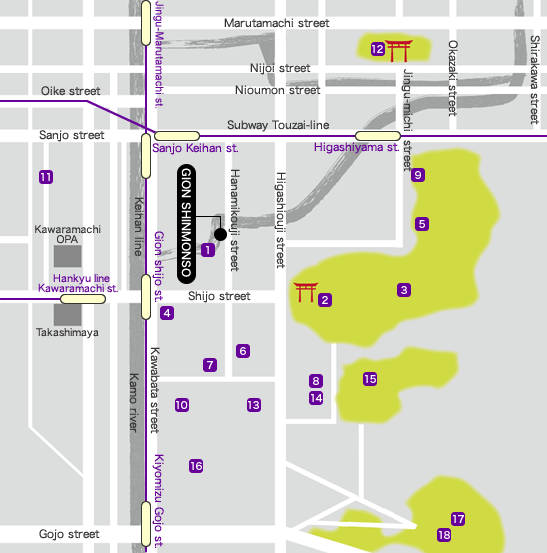 The standard sightseeing spots of the shopping center district. Here you can get everything, from souvenirs, fashion to restaurants. It was made 28 years into Meiji Period as an anniversary for the 1100th year of Heiansento. 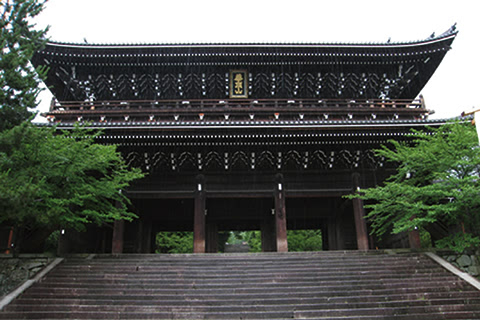 It is a valuable building that relives Heian Period by taking the same architecture style from that period. 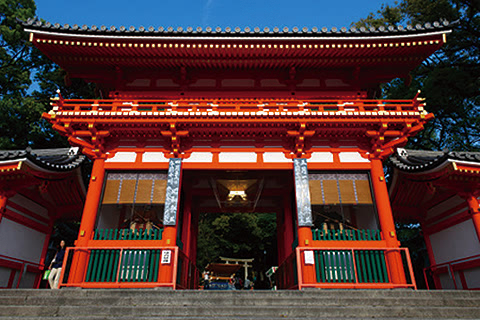 'Yasui's Konpira-san' is famous for wishes of break ups and luck for match making marriages. 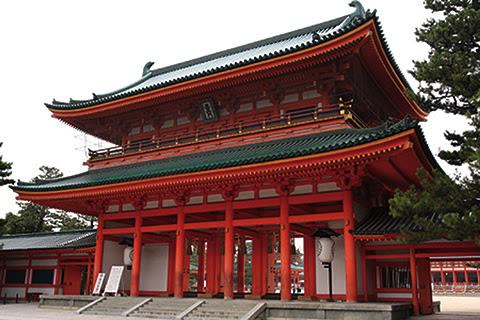 This shrine is very famous for women. This place was famous for a commercial being filmed here. The small path with never ending stone steps and stone wall is what makes it beautiful. Toyotomi Hideyoshi's wife, Nene made this temple for memorial service of her husband. This temple has many important cultural properties such as the statue of Kuuyashounin, and is a close temple to the Heike Family. This shrine is known as the 'The god of marriage.' 'The love fortune telling stone' is very popular to women. 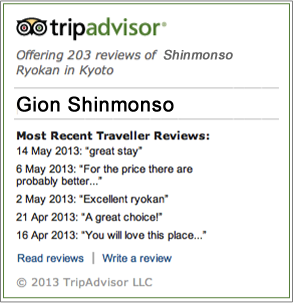 Needless to point out, this temple is one of the World Cultural Heritages and is the most famous temple in Kyoto. From the 'Stage of Kiyomizu' you can see an endless view of Kyoto.